Many parents have had strangers say these exact words to them. When I had my first son, I thought he was so cute and eventually I thought that I would look into the options available here in NYC for child talent. Initially, I had no idea where to even start. I had heard in the past to steer clear from anyone asking for money, but who exactly should I turn to? After much research, and let me tell you it was hours & days of research, we submitted photos and my son was selected by a few agencies for interviews and then we selected whom we wanted him to be represented by. I have often felt that this industry is an industry of secrets. It seems that many people on the “inside” don’t want to share information with others for fear of competition. Because of this, it is so difficult for new parents who want to open doors and pursue their child’s talent. As a photographer, many clients have asked me “how can I get my child into modeling?” The answer is not a simple one and I’ve been promising many moms that I would eventually blog about this topic, so now that winter is here and my holiday portrait sessions are wrapping up, I’m finally fulfilling that promise. Do you have the time and freedom? Be prepared that once you have representation that you will often only have a 24 hour notice from you agent prior to a casting call. Often times, we have been called for auditions the same day. Living in the city has made this far easier on us, but sometimes I have had to “drop everything” in order to make it happen. Is your child flexible? Are able to change their schedule and still get nothing but smiles? If so, you may have a winner. Remember that the demands on your schedule are also demands on your child’s schedule. Can you handle rejection? Trust me, even the most beautiful children are consistently rejected at auditions, and it has nothing to do with how beautiful they are. It can be frustrating, but remember that every casting agent is looking for something specific, a certain style, look, ethnic ambiguity or even certain abilities. You must be able to handle the rejection and be positive, eventually you WILL book a job! 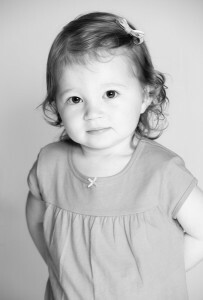 You will need a nice, clear (in focus), portrait (think head shot) of your child. Children change so often and so quickly, so agencies do not expect you to spend the money on professional portraits of your child. Most parents will be able to use snapshots from their home camera. Be sure that you dress your child appropriately for their photo. They should wear a plain, solid colored top that does not contain graphics or logos. Also, it is best to avoid black, white or red clothing. Choose a bright, vibrant color that compliments your child’s skin and eye tone. Keep an eye out for another blog post coming soon that will help guide you in taking great snapshots of your little ones. Once you’ve selected the perfect photo of your child, you will need to have prints made. Preferably 8×10’s and as always I recommend that my clients use www.mpix.com for prints. Their color and print quality is far superior to any drug store and many online photo labs. When your prints arrive, you will need to include your child’s information on the reverse side of the photo. The easiest way to do this is to print out Avery labels and stick them on the back. Now you are finally ready to get your babe some representation and casting calls! Yay! Here is a list of some of the top agencies here in New York that I recommend mailing your child’s photo to. You should include a cover page with your contact information and your child’s information. If your child has already worked in the past, be sure to include their resume. It will usually take 2-4 weeks to hear back from an agency and they will only contact you if they are interested in working with your child.